This week, the parents of 22-year-old Michael Sparling, who died on the morning of June 1, 2011, filed a wrongful death lawsuit against the Dallas-based manufacturer of Jack3d, USPlabs, and GNC, the store where Michael purchased the product. In its lawsuit, the family alleges that USPlabs was negligent under several theories of liability including defective design of the product, failure to warn its users, breach of warranty, and unlawful business acts and practices in violation of California law. The wrongful death lawsuit was filed on the heels of a report coming out of the UK condemning Jack3d and linking the supplement to the death of Claire Squires. Last April, Clair Squires, 30, was ending her run in the marathon of London when she collapsed near the finish line. The young hairdresser suffered a cardiac arrest and despite administering emergent treatment at the scene and at the hospital, she never regained consciousness. The Sparling family alleges in its complaint that USPlabs failed to appropriately test pre- and post-market is own products while representing to the general public that Jack3d had been thoroughly tested and was safe for consumption. The lawsuit was filed in San Diego County, California. 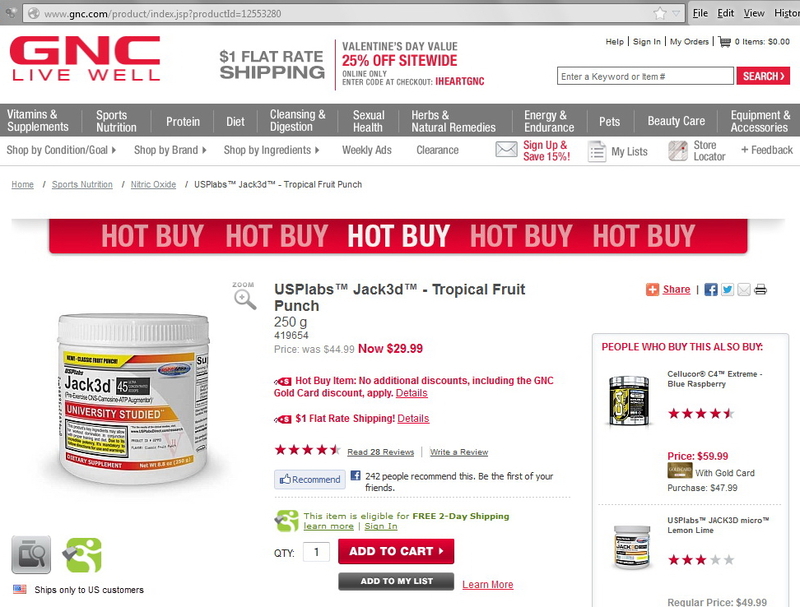 Under California law, USPlabs and GNC have 30 days from the date of service to respond to the allegations.